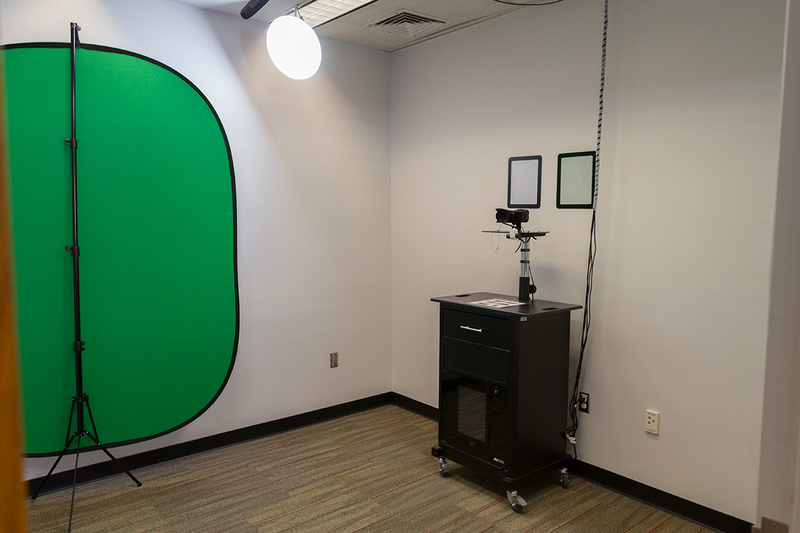 The Video Studio (111E) is designed to be a simple video production studio for students and faculty, requiring no technical knowledge to operate. NOTE: The user should bring their own laptop OR bring a 32GB Flash drive if you are planning to use one of our checkout laptops to edit your video. Flash drives can also be purchased from the Print & Copy shop for $15 during their regular hours. The user comes into the studio, toggles a switch to turn on the studio lighting, inserts an SD card into the camera (slot A), and presses the Record button on the camera to begin recording a video. Once the presentation is finished, the user presses the Record button again to stop the recording. 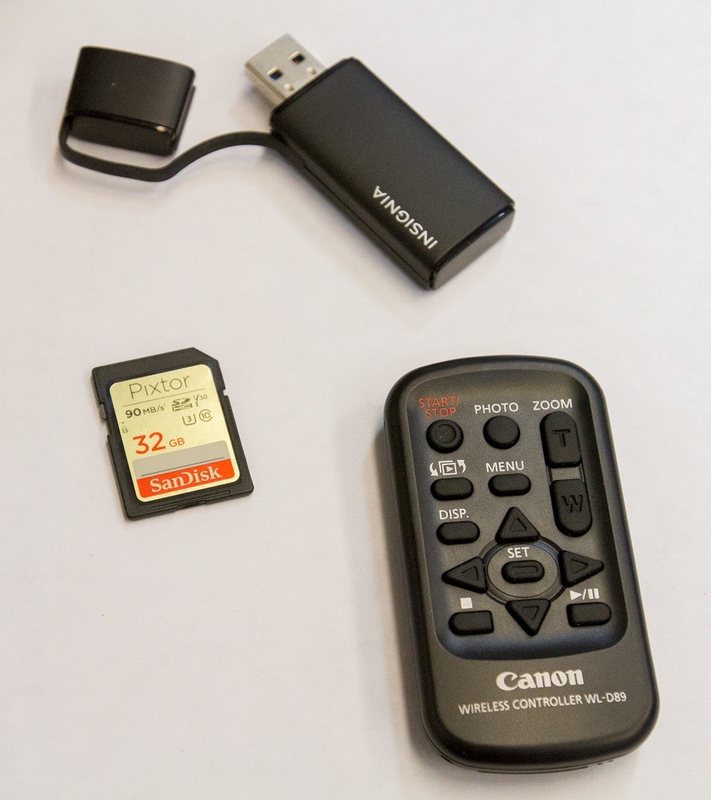 The user then removes the SD card from the camera and can transfer the video file to their computer using the USB card reader. When you come to use the room, you will be provided with the Video Studio Kit (SD card, USB card Reader, and camera remote). The Video Studio is also equipped with a blue/green screen for chroma key work. Kennedy Library thanks the Orfalea College of Business and Dean Scott Dawson for generously providing funding for Cal Poly’s first Video Studio. Hooray, Tuesday! It's 1:54pm right now.